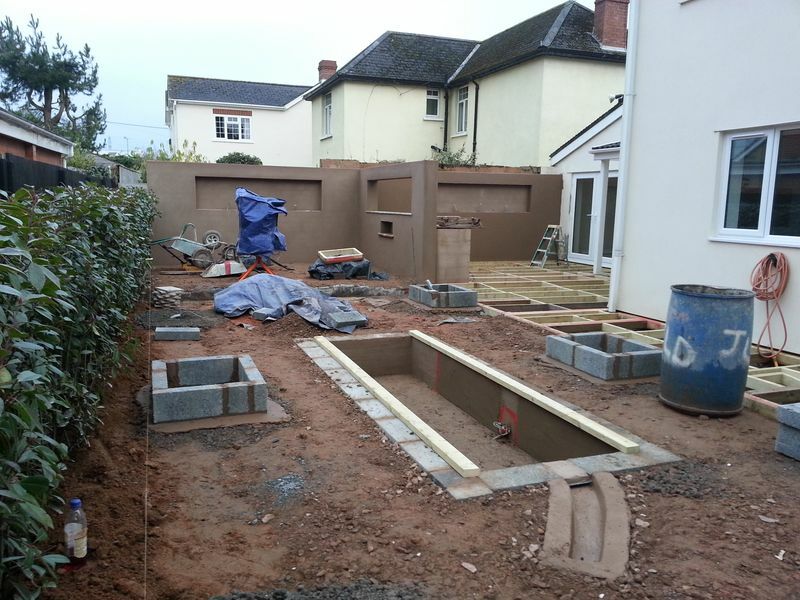 For this particular garden design and landscaping project near Tiverton Devon, the design includes seven raised planters to the perimeter of the paving and reflection pond area. 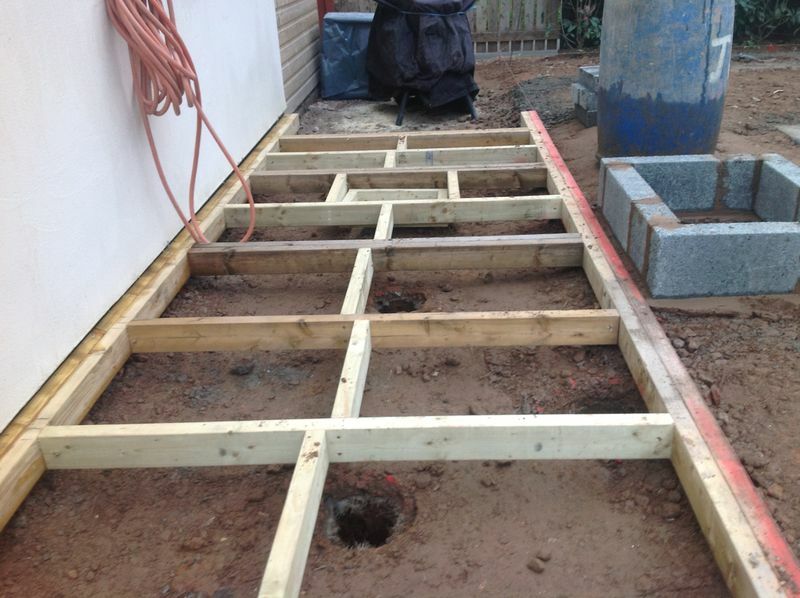 The raised planters are excatly the same size, so for acurracy, a wooden template is cut and screwed together. The thickness of the block and the black limestone with its exterior adhesive has been taken into account. 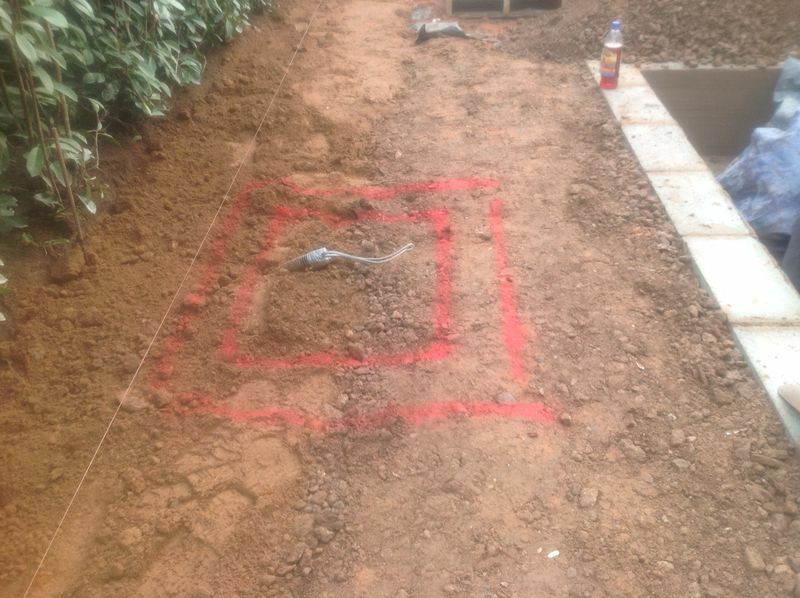 The wooden template has been marked at the centers and placed under the stringline to ensure the correct position, once correct the template is sprayed around the perimeter. One member of the team removes the sub base material along the spray marks, stock piling the material for concrete use later. 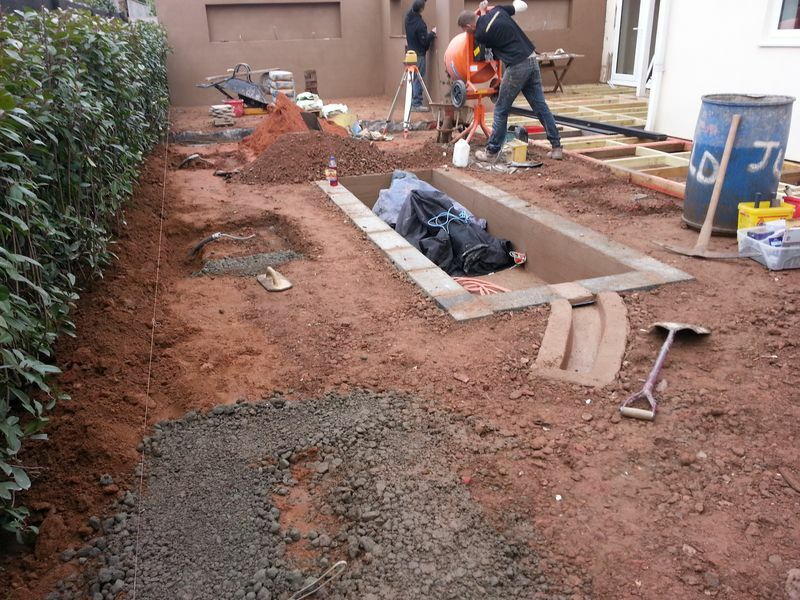 All seven raised planter footings are concreted with the stock pile sub base, the rotating laser level is used as guidance for all seven planter concrete levels. 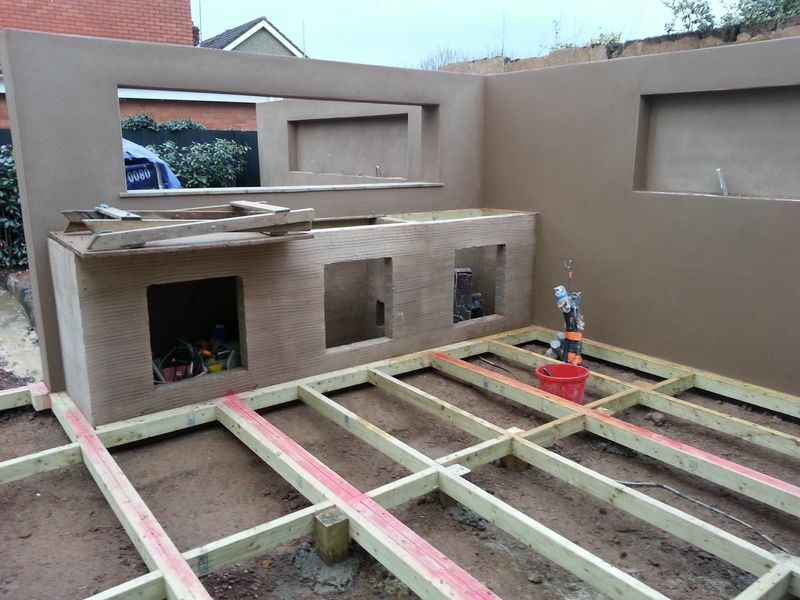 The raised planters are constructed from a single course of 100mm block work to the desired size and shape, again a laser is used to ensure the finish level to all planters are the same, at a later date the exterior and interior of the block planters will be clad with Marshalls black limestone using Keraquick adhesive. The coping stones will have a slight over hang and mitred on each quoin. 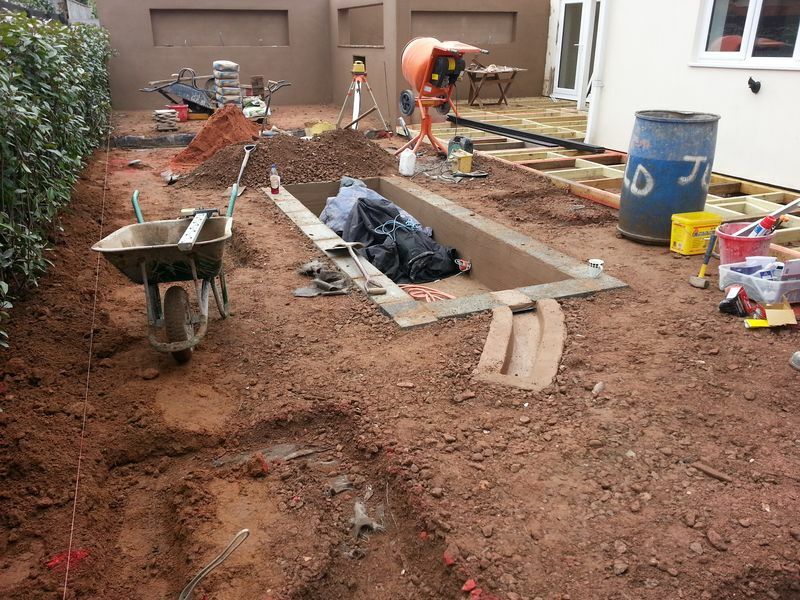 Landscaping works also continue to the mainframe of the composite decked walk way, note the small manhole chamber, this will be accounted for and an access point created once we deck the frame with the hidden screw system. 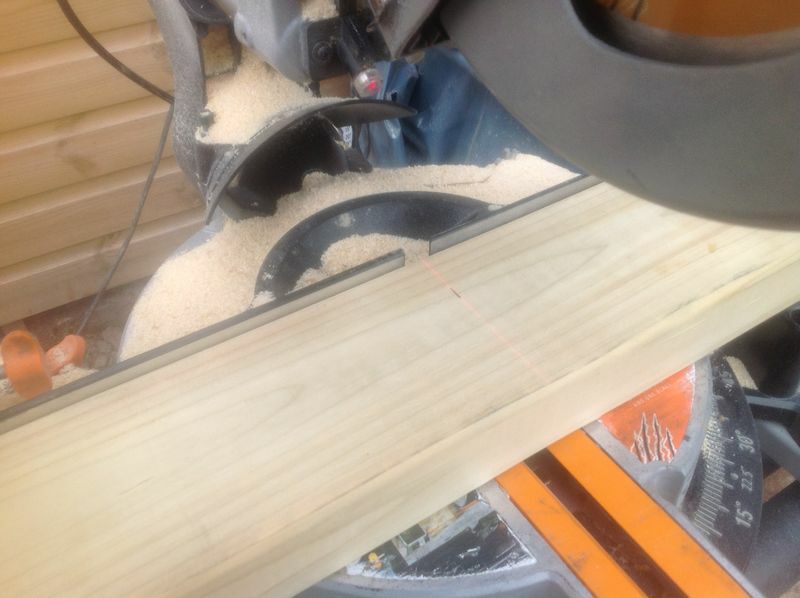 Note that all cuts are by chop saw guided by laser, this ensures a clean cut at the desired angles for the different stages throughout the landscape build. The top coat render wallings are completed, I will allow for the render to dry before two coats of graphite grey masonry paint, I plan to apply the paint before the Christmas break.